OLX.in, India’s largest Consumer – to – consumer marketplace for Individuals to buy and sell pre-owned goods, has been creating ripples in the Indian online space because of the staggering growth it has achieved in the past one and half year. 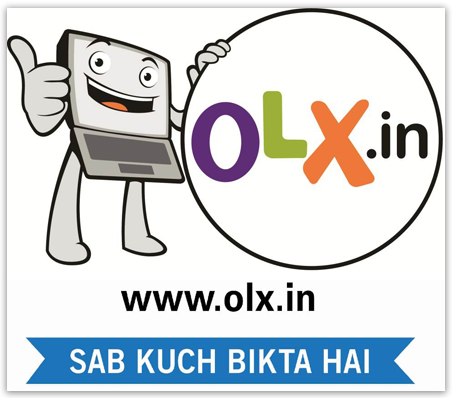 Although OLX India already reached public attention by advertising on Newspaper, TV, Website, Blogs or Banners it doesn’t put an end to its advertisements.OLX has just launched an entertaining new TV campaign aimed at building and strengthening on their famous ‘Bech De’ proposition. Having created a market and pioneered the concept of buying and selling among Individuals, OLX’s new campaign communicates the core OLX message of ‘Bech De’ in interesting ways using the previous campaign ‘BadiBadiBaatein’s’ married couple’s playful teasing route. Easily create attractive image ads. This is an Indian Commercial video or Indian TV Advertisement of OLX.in Neighbour’s Envy TVC. Sab Kuch Bikta Hai.